This bar has 170 calories and makes it so it's easy to reach your weight loss goal as these bars curb appetite and are packed with healthy fats and protein. Almost all bars contain whey or milk protein isolate which is mucus forming and our bars do NOT! 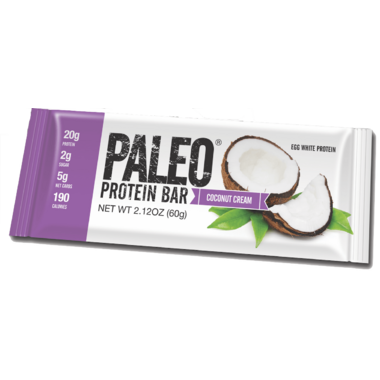 These bars are dairy free & whey free made with the most bio-available protein on the market (Egg Whites). Made with Real Food Ingredients! (Can be used for a snack or meal replacement) Our bars have no sugar added (1g naturally occurring) Sweetened w/Monk Fruit. Warm bar for 5 to 10 seconds for a soft gooey fresh brownie experience! Ingredients: Egg White Powder, Organic Prebiotic Tapioca Fiber, Organic Sunflower Seed Butter, Organic Coconut Flavor, Organic Vanilla Flavor, ProDura™ (Probiotic), Lou Han Guo (Monk Fruit). CONTAINS: Eggs Made in a facility that processes tree nuts. I don't like either the taste and texture. I like other Julian Bakery bars but not this one. I was excited about these bars low sugar & high protein content but it was rock hard and had a terrible fake sweetener aftertaste. I couldnâ€™t finish it, so I just tossed it. I just tried eating this and it's rock hard. After finally getting a bite, it sticks to your teeth. And then the taste of Monk fruit (tastes like aspartame) seeped in and I couldn't stomach it. It's a shame because the nutritional facts (190 cal, 2g of sugar with 20g of protein) are very good but too good to be true, sadly... It's more suited for people with insulin issues maybe. I have tried I think 4 of this bars, this one so far it's my favorite. Great taste and healthy. Also gave me energy. Not your standard protein bar! This one is healthy and DELICIOUS! It's like a thick taffy. If you heat it up it's gooey like fudge. It doesn't spike my blood sugar and does not irritate my sensitive stomach. 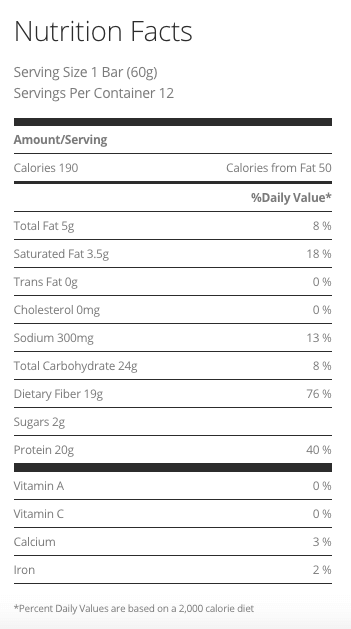 I like that it is egg white protein. I am a huge fan and already reordered other flavors. Hard as a rock. Could not even chew it.